Same as last year, Panalpina assisted UNICEF by flying relief aid to Africa to help children in South Sudan, where the humanitarian needs after years of conflict remain massive. A Panalpina chartered cargo aircraft landed last night in neighboring Uganda, carrying nearly 70 tons of supplies. The supplies will be trucked to South Sudan and distributed across the country as the dry season begins. 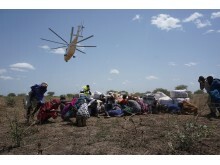 ​Panalpina once again assisted UNICEF by flying relief aid to Africa, this time to help children suffering in South Sudan. 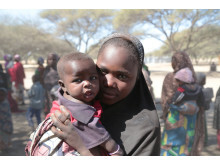 The country’s humanitarian crisis is a culmination of years of civil war compounded by famine and disease. A Panalpina chartered cargo aircraft landed in neighboring Uganda, carrying nearly 80 tons of supplies. Love-struck Australians who want to give out roses for Valentine’s Day on February 14 have Panalpina and the Kenyan horticultural industry to thank. 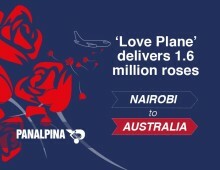 International freight forwarding and logistics company Panalpina has just flown an entire Boeing 777 cargo aircraft packed full of freshly cut roses from Nairobi to Sydney, right in time for the romantic holiday. 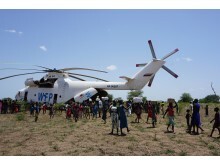 Panalpina is assisting UNICEF for the sixth time by flying relief aid to Africa. The following report was written by journalist Peter Martell earlier this year and shows how getting aid to the people who need it most requires extreme efforts. The report also impressively illustrates how every ton of relief goods makes a big difference to thousands of people who often have not had aid for years. Panalpina continues to expand and invest in Kenya, doubling its cold storage space at Nairobi’s Jomo Kenyatta International Airport to enable more and improved services for its perishables customers in and out of the country. Panalpina has acquired seven companies specializing in the worldwide export and import of perishables since 2015. With its vision to become the preferred global supplier of perishables logistics by 2020, Panalpina not only acquires companies in the sector, it then also invests locally to develop the business further and support the communities where they operate. 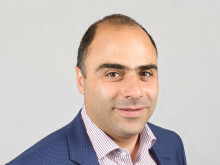 The Panalpina Perishables Network was launched with ambitious growth plans in 2017. Today it has members, including agents, in 26 key countries and it keeps growing, offering customers, at both origin and destination, complete end-to-end solutions on a global scale. 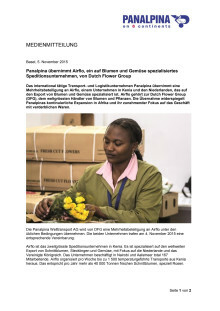 Agent members of the Panalpina Perishables Network enjoy unparalleled reach thanks to solutions from field to shelf. Panalpina was recently called in for help by one of its largest oil and gas customers in Angola to avoid a shutdown at one of their main offshore platforms. 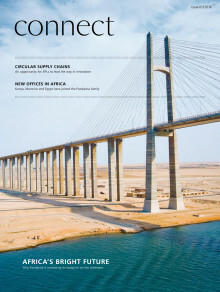 A critical cargo of specialized pipes, bundles and racks had had to be moved from Malabo in Equatorial Guinea to Cabinda, Angola in a port-to-port operation, and Panalpina deployed its African Star to save the day. Stop and smell the roses, or any of the other flowers showcased at the sixth International Flower Trade Expo (IFTEX) in Nairobi, Kenya. 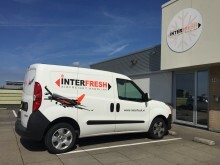 The Panalpina Perishables Network combines experience and extensive knowledge of the market to deliver "field-to-shelf" services to ensure your shipment arrives fresh. Stop by and say hi at our booth Panalpina Airflo Ltd. in D2.18. We hope to see you there! In 2018, same as in 2017, Panalpina donated a charter flight with UNICEF relief goods for South Sudan.